Dozens of jobs have been saved after a Midland hotel and golf course was saved from liquidation at the 11th hour. The Bank House Hotel and Bransford Golf Club near Worcester has been taken over from liquidators, heading off imminent closure. New owners Kelly and Richard Bailey, who run the five-star Orles Barn Restaurant with Rooms near Ross-on-Wye, have saved 30 jobs through the takeover, and plan to take on about 15 more. The pair plan to refurbish all 70 bedrooms, as well as the function rooms and club house, as part of plans to boost income from the lucrative wedding market. The hotel came onto the market after previous owner Albermarle Hotels (No.2) collapsed, but Mr Bailey said the Bank House had remained profitable. He said: “I am a local boy, so I know the Bank House from experience. “But obviously this is a commercial decision, based on historical knowledge and understanding of the area. I knew it was a good opportunity which we were able to act on very quickly. “Everyone who was working here when we walked through the door still has a job. 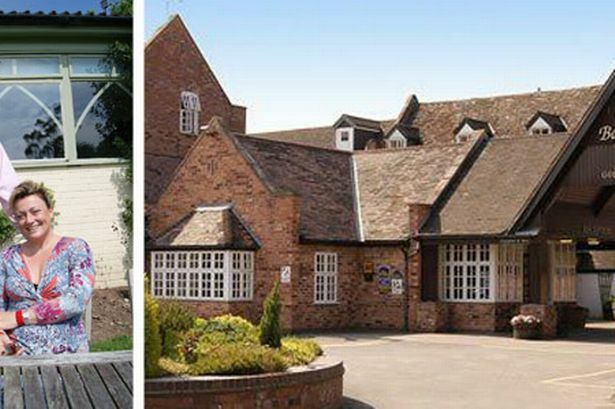 The Bank House Hotel and Bransford Golf Club set in 130 acres it has 70 bedrooms, an 18 hole golf course, a leisure club, restaurant, pub and a range of function suites, the largest of which with a capacity to hold up to 400 people. Mr Bailey said plans for the hotel were still being worked up but he expects to take on about 15 extra members of staff. He said the pair, who were part of a wider investment team, were currently getting their “feet under the table” and seeing where gaps emerge. Meanwhile, he said deposits paid for future events under previous ownership would be honoured for those continuing to hold the events there. The entrepreneur declined to reveal the value of the investment, but said spending plans had already grown, and there would be major refurbishment. “With regards to the golf course, there will be some investment into the club house,” he said. “Then all of the bedrooms are going to be refurbished from top to bottom, as well as the function rooms. Mr Bailey said with a function room holding 400 people and a golf course with views over the Malvern Hills the venue is ideal for weddings. He said owners have enjoyed success in the past in encouraging couples out of Birmingham and towards the Worcestershire countryside for their wedding days but bookings have fallen off in the last year. “Every aspect has been a success from what we have seen,” he added. “The issue for the hotel has been a lack of investment into the property and no continuity. We are here to build the confidence back up and to reinvest to get the hotel back on its feet. “We have seen the figures and it has always made a profit, but the profits have been left in the company and not reinvested. Accounts for Albermarle Hotels (No.2) show it made an after-tax profit of more than £548,000 in 2011 and £1.1 million in 2010. While Mr and Mrs Bailey run the five-star Orles Barn Restaurant in Ross-on-Wye, he said the plans for the Bank House did not include it being upgraded to five-star status. He said: “The idea is to use what we have done there to influence what we do at the Bank House.